Save on the cost of private flights with an empty leg from Miami Beach Jet Charter! Our brokers are based in South Florida and offers instant access to thousands of private jets and turboprops based at airports in South Florida and across the United States, and exclusive hometown charter rates you won’t find anywhere else. South Florida is the gateway to Latin America, and a hotspot for luxury tourism. Every day, an array of business jets and luxury planes arrive and depart from Miami, creating new opportunities to fly in a private jet at a substantially reduced rate: finding one of these deals allows clients to save anywhere from 20 to 50 percent (or more) on the cost of private jet travel. Companies based at airports throughout Miami-Dade can only offer you the empty legs within their own fleets—our team is global, able to access all of the transient planes across the country and around the world to get you the best deals on all of your private flights! Whether you’re searching for empty legs to Miami, or transient planes flying to the Caribbean or across the Atlantic, our team has you covered. Let us connect you the best deals in aviation with an empty leg from Miami Beach Jet Charter. Call us 24 hours a day +1-888-987-5387 and learn more about how you can save up to 50 percent or more on the cost of private flights with an empty leg! How do Empty Legs become available? One-way flights have become popular among executives and leisure travelers looking for direct flights to their destinations. However, these planes may need to return to their home airport, or pick up passengers at another location. The cost of this return flight or re-positioning leg is often included in the one-way price, and the planes is scheduled to fly without any passengers. That’s how an empty leg is made. For example, a client books a one-way flight from New York to Miami with the return flight included in the price. After landing at Opa Locka Executive Airport, the planes now must return to Teterboro Airport. The re-positioning or return leg is then marketed at a substantial discount, and available for travelers who know where to find them. Matching a transient plane to your trip’s routing can be tricky, as deals come and go as new flights are scheduled every day. You also need to be able to see all of the planes on the market to compare apples to apples and find the best deal. How do you find empty legs flying to or from Miami that match the routing of your private flight? Book an empty leg from Miami Beach Jet Charter and cut the cost of private air travel! Start by calling one of our brokers at Miami Beach Jet Charter, your local source for empty legs in South Florida. Since the schedules of planes are change as flights are booked to/from South Florida, deals can come and go in a matter of days, if not hours. Our company enjoy access to all of the transient planes throughout South Florida, across the country, and around the globe. After you give us the dates and destinations of your trip, our brokers can see which planes are available to be used for your flight. We’ll connect you to empty legs at Opa-Locka Airport (OPF), transient planes at Miami International (MIA), and deadheads at Miami Executive (TMB). We can even find deadhead legs flying to the Caribbean or South America from Miami-Dade, Broward, or Palm Beach County. The more flexible you are with dates, times, and airports for your trip, the better your options become when trying to find empty leg deals in Miami. 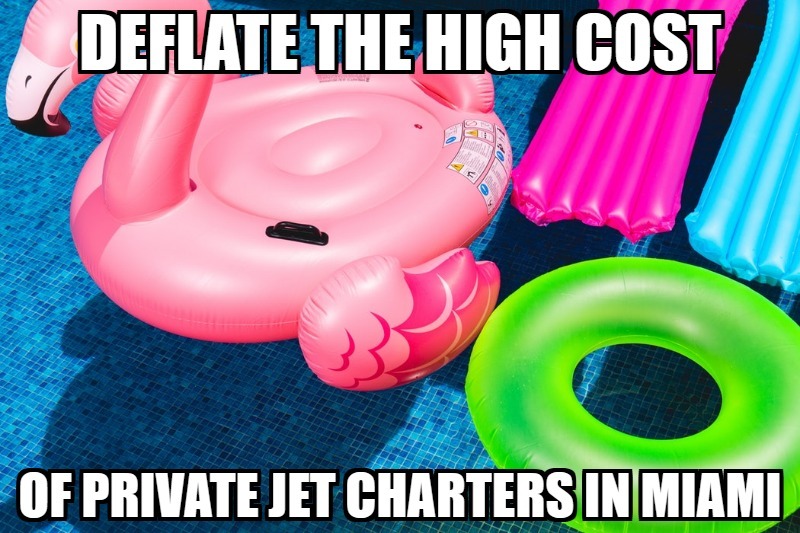 And if there isn’t one available, we still offer competitive rates on the best air charter services in South Florida! Located in South Florida, we offer 24 hour private jet services no matter where you’re located. Getting a quote for upcoming flights to/from Miami is free, so don’t miss your chance to save big on the cost of private jet charters. Call or email us for more details on empty legs to/from Miami, FL!